I alternate my training days, so one week I do A,B,A, and the next week will be B,A,B. My question is more in reference to the bulking phase only working once, and only when you’re entirely new to weightlifting. My goal is to drop to around 10-12% bodyfat, but after that I do plan on attempting a bulking phase. 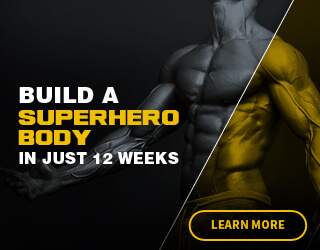 Having never really bulked (purposely), would you recommend I try to hammer the calories and attempt to put on “beginner” muscle quickly? Or…does my current weight loss diet/weight training count against that initial “beginner” phase, as I will not be entirely a beginner when I reach my bodyfat goals? Found your website last week and have been binge reading. Awesome site, and I enjoy the no b.s. approach to training advice. Please keep going! It’s not that it only works once. It’s more so that’s it’s the most effective the first time. You get diminishing returns each time you try traditional bulking again. Yes you won’t necessarily be a beginner so after I would do a more lean bulking approach where you eat at a surplus on training days and at maintenance on off days. What if I are 25. is it necessary to eat more of that for bigger muscles.